If you looked at Indonesian photographer Achmad Zulkarnain’s work before looking at him, you would never guess that he has to use his mouth to turn a camera on. 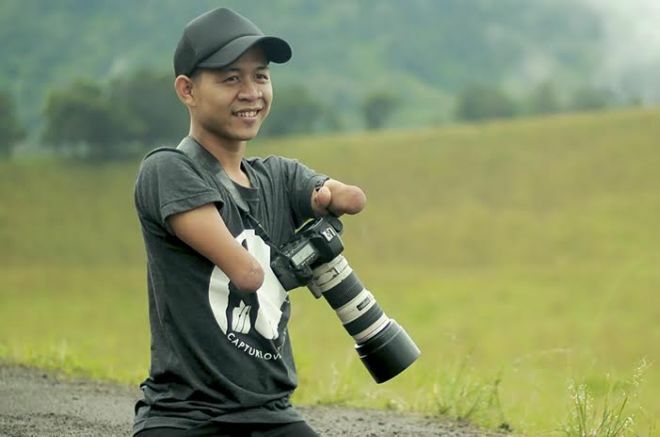 The 24-year-old shutterbug was born without hands and legs, but with a resourceful and passionate spirit. 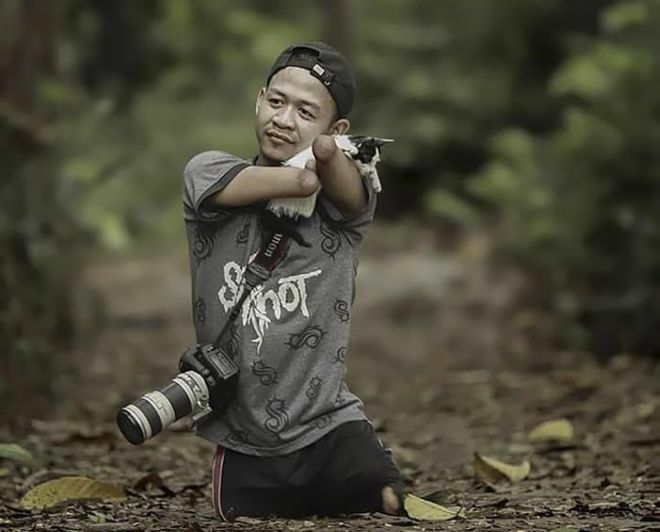 Zulkarnain lacks fingers, but practices his own unique form of dexterity by using his face, mouth, and the extra skin on his arms to operate his professional camera. Once he captures his shots, which range from models wearing traditional clothing to stunning nature scenes, he fires them onto his laptop and proceeds to retouch them. He’s even set up his own company, DZOEL, to help him manage the influx of business he’s receiving in his local area. 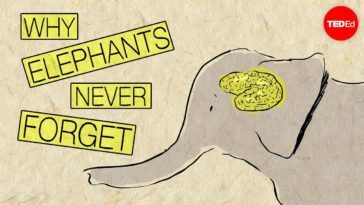 “I don’t want people to see my pictures and think of who I am – I just want them to see my creativity,” Zulkarnain told Al Jazeera. 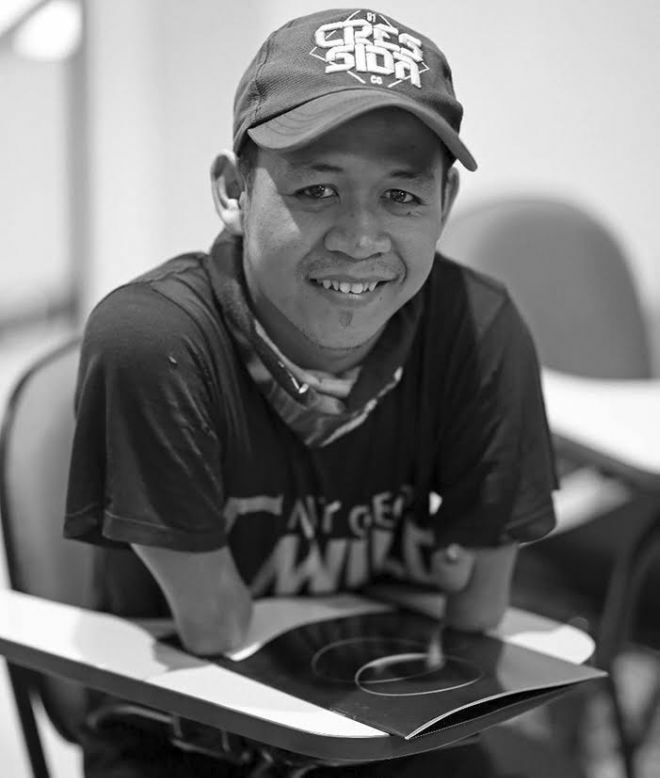 Not only is he an inspiration to differently-abled people everywhere, he proves that any struggle can be overcome with enough determination.